When I first took on the role of Saskatchewanderer, I was convinced the agriculture component of the job-was going to be my biggest hurdle. And in a province that contains nearly 40% of Canada’s farmland, that’s a pretty hefty stumbling block. I feared my urban lifestyle would put me in a blatant “fish-out-of-water” scenario. I have since realized how uninformed this outlook was. There are so many layers in this field (pun intended), that go far beyond the cliche of a man in a straw-hat milking a cow. The most important of which is the palpable sense of community within this industry. It’s an innovative field with lots of opportunities and exciting challenges. But there are also pressures that come with feeding a growing world population. Lesley Kelly from Watrous, Saskatchewan is the creative and entrepreneurial mind behind High Heels and Canola Fields, an online blog that chronicles the day-to-day life of a farmer’s wife. As I researched further it came to my attention that Lesley and her husband Matt have made quite an impact on Saskatchewan’s agricultural landscape over the past few years - most specifically in the niche area of mental health as it pertains to farmers. Being a mental health advocate myself, I certainly commended their platform. I just wondered why agricultural professionals are so susceptible to mental illness? And why is it necessary for them to have resources catered to just them? A lot of what I learned from Lesley was quite self-evident: farmers work long hours, are extremely isolated and are often planted in small communities that may not offer all the resources they need. There’s also the lack of predictability that comes with this occupation. Variables like weather and economy can drastically influence financial stability and can fluctuate from season to season. Lesley went on to address the unspoken stoicism that envelops many farmers. This “stiff-upper-lip” mentality can make people reluctant to find help. 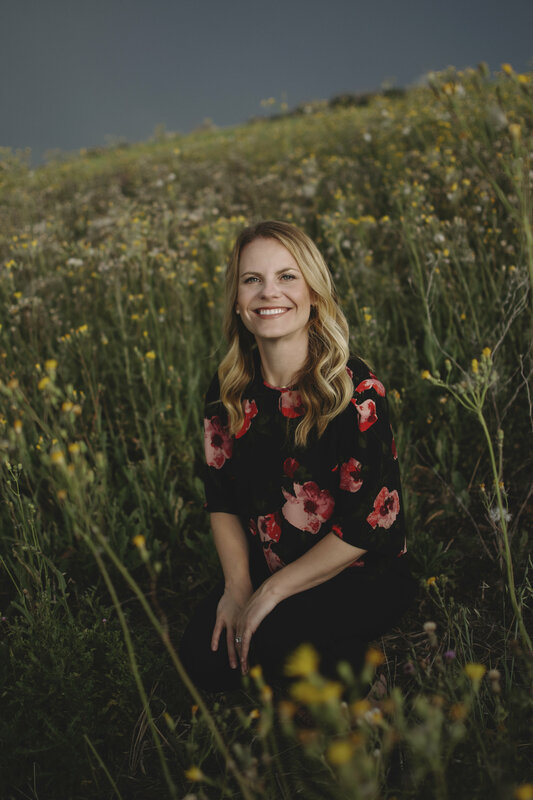 Lesley wants to increase awareness and motivate conversation, both through her blog, and more recently by co-founding The Do More Agriculture Foundation, a Saskatchewan based not-for-profit that focuses on mental health in agriculture across Canada. But long before Lesley co-founded Do More, her husband utilized Saskatchewan’s Farm Stress Line when his generalized anxiety manifested itself in a panic-attack while he was working on a remote farm away from his family. That incident, paired with Lesley’s history of postpartum depression, inspired the couple to release a tell-all vlog in 2017 that garnered viral recognition. This showed Lesley the positive impact of speaking out and ultimately motivated her to take part in The Do More Agriculture Foundation. Through this group, she and others are taking the insight that Saskatchewan has gained on the subject of mental health in agriculture and are using it to broaden awareness in provinces and territories across Canada. I would personally like to thank Lesley, her husband Matt and the founding team at The Do More Agricultural Foundation for engaging me in a dialogue that will hopefully inspire many more dialogues. These people and the resources they provide/promote are what contributes to the overall happiness of our province and our country. If you want to contribute to this cause, it’s really quite simple: take a page out of Lesley and Matt’s book and start a conversation!